After the renovation, the Kunsthal has been able to strengthen its function as a location for events with its building, programme, Auditorium and Kunsthal café. In 2015 the number of receptions and events grew, with increasingly prominent businesses including various multinationals as clients. 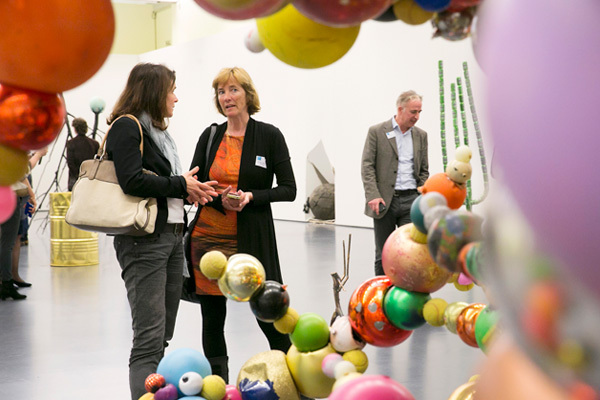 There were thirty business receptions during the Haring exhibition alone, with hire of the Auditorium and Kunsthal café including a visit to the exhibition, whether with a guided tour or not. Various businesses, among them HAL Investments, Mediacenter and ING, organised a lecture, breakfast meeting, network event, symposium or congress for their colleagues in the Kunsthal. 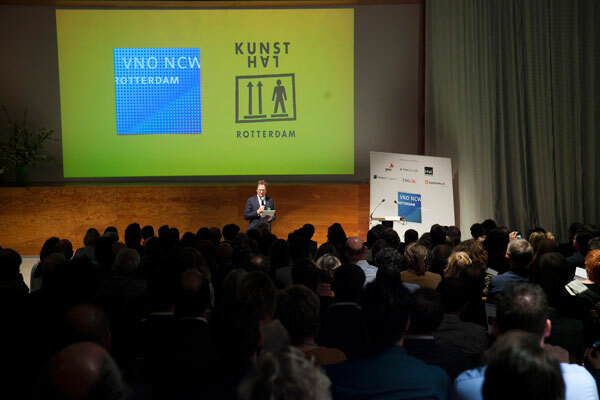 Parties such as Rotterdam Topsport, Rotterdam Partners and VNO-NCW have in the meantime become regular guests at the Kunsthal location. Every year the Kunsthal Business Circle and VNO-NCW organise a meeting in the Kunsthal with an inspiring speaker from the business world. In 2015 this was Pieter Swart, director and founder of Coolblue. The speakers from previous years have included Anniek Mauser, director sustainability Benelux with Unilever, and Ivo Opstelten, who was outgoing cabinet minister at the time. 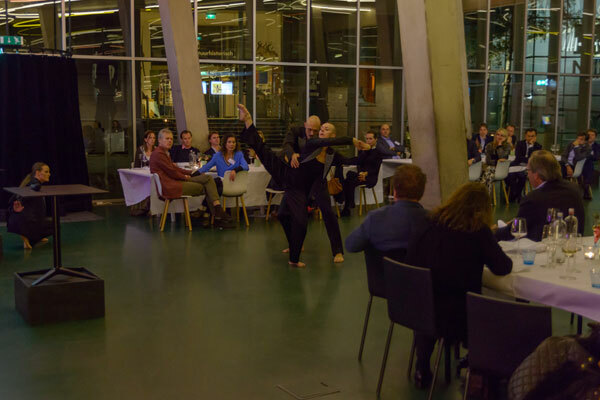 After five years the Kunsthal Business Circle meeting has grown to become a successful network evening attended by 300 entrepreneurs and directors from the commercial services sector, construction, production, health care, wholesale, industry and transport. Together the members represent a large percentage of the employment in Rotterdam. 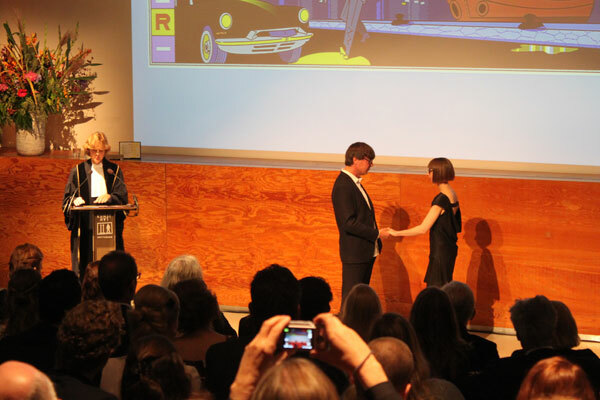 Special receptions were also held in the Kunsthal, such as the presentation of the VSB Poetry Prize to the poetess Hester Knibbe; the presentation of the architecture periodical OASE on the first ten years of OMA in the presence of Rem Koolhaas; and a wedding with the ceremony in the Auditorium and a visit to the Haring exhibition. In addition, the VIP receptions to accompany blockbusters and exhibition openings about eight times a year on Saturday evenings brought a lively influx of some 500 members of the public to the Museumpark, who afterwards flowed into the inner city. The Auditorium was also put to functional use in 2015 as an extension of the museum space. For the well-attended Keith Haring exhibition, the Auditorium was used as an integral part of the exhibition (as a film venue). The screening of a documentary ensured a better distribution of visitors at peak visiting times.